Momentum Support is a provider of award-winning cleaning services to a number of large acute hospitals. 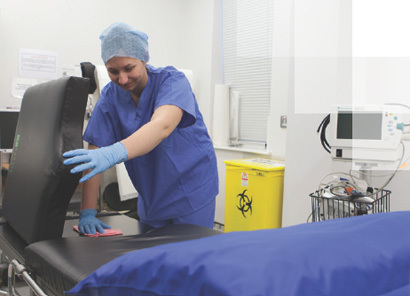 Healthcare facilities and hospitals require unique and specialist cleaning in order to maintain the health and safety of their environments. We understand the critical nature of ensuring that high standards of cleanliness are consistently delivered. In addition, having detailed contingency plans in place to cover emergencies such as pandemics or severe bad weather is of utmost importance to us. We focus on always having the hospital or healthcare facility clean and fit for purpose at all times. Our dedicated team of on-site management work closely with hospital management to meet the many challenges that are faced on a daily basis. We offer a range of soft services specifically tailored for the Healthcare and Hospital Sector.